Former Halifax striker Scott Boden could line up against his old club next week after signing for Chesterfield. 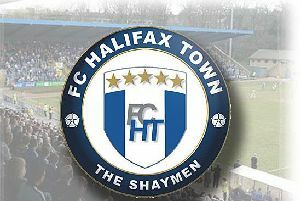 The Shaymen travel to Chesterfield next Saturday, and could now face Boden in that game after he joined the club from Gateshead. Boden has already scored against Halifax this season in the 1-1 draw between the sides at Gateshead on December 29. He joins another former Halifax striker, Tom Denton, in the ranks at Chesterfield. Boden joined Halifax from Macclesfield in 2014 and scored 12 goals in 38 games.